How Often Do Each of Your Vent Systems Need to be Replaced? Orange County, CA – The ventilation system in your commercial kitchen or food prep facility can prevent the air from becoming polluted and can also prevent fires. If you have recently installed your vent hoods or it’s been a couple years, replacement isn’t likely. Even in the busiest of kitchens, these components are designed to last years into the future, and many come with warranties that protect against the risk of fan breakdowns and other anomalies. Yet if you have had your vent hood system for fifteen years or more, you may want to consider a replacement. Here are the signs to look for when you’re wondering if a new vent system may be worthy of your investment. If anything will catch on fire quickly, it’s a grease-laden vent system. When grease gets caked into your fans and vents and throughout the various components that comprise your system, the slightest spark can create a dangerous situation you won’t want to encounter. To save your employees, equipment, building, and customers, keep your ventilation system free of grease at every turn. While some buildup is normal during the average shift, too much is a hazard. Use a heavy duty cleaner nightly and schedule regular vent hood cleaning and maintenance to keep your equipment grease-free. If the grease builds up over a long period of time, it can turn into an uncleanable mess, and replacement might be your best and least-costly option in the long run. If your vent system is huffing and puffing and yet seems to be pushing even less air through than before, that’s a good sign that your vent system needs to be overhauled or replaced. In some cases, a simple fan replacement can do wonders, but only a professional ventilation hood expert should make that call. Scheduling regular maintenance can keep the problem of not enough airflow in check, but outdated systems may be helpless and replacement may be your only recourse. If you have recently changed your menu or if you are suddenly producing more volume in your kitchen, your old vent hood system may not be able to keep up. This isn’t something you want to find out weeks into the new way of doing business. It’s far better to schedule a maintenance and cleaning call if you do suspect that your equipment isn’t in the best working order before things get out of hand. New and energy-efficient vent hoods by top manufacturers will keep production ramping up without sacrificing quality, and you’ll even save on energy costs. Of course, some ventilation systems can seem to be malfunctional when changing your filter is all the situation calls for. Make sure you are changing or at least cleaning your hood filters regularly to prevent grease buildup and other problems. And, of course, to keep your ventilation system operating like new. The bottom line is that you should never make the decision to replace your vent hoods all on your own. Get an expert’s opinion by scheduling regular vent hood cleaning and maintenance or by calling for a free estimate on a complete replacement. Only a professional will be able to give you an honest assessment on whether your equipment needs to be maintained, fixed, or replaced altogether. 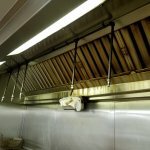 For more information on vent hood maintenance, cleaning, and replacement, visit Aps-Hoods, your choice for commercial kitchen ventilation systems, food truck construction, and more. 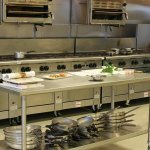 Denver, CO – Most restaurant owners understand the importance of engaging in a regular commercial kitchen cleaning schedule. Keeping cooktops and food preparation areas spotless is crucial for hygiene reasons, but it’s equally as important to ensure that kitchen hood fans and filters remain just as clean. Here’s why. Grease and dust can build up in range hood fans and filters quickly, posing a potential fire hazard. 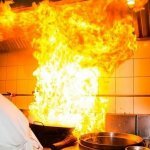 Grease is highly combustible, so the risk of it catching alight and sparking a kitchen fire are increased if the residue build-up isn’t removed regularly. The kitchen’s hood and ventilation system provide a layer of protection in eliminating air contaminants and odors caused by cooking. So it’s essential the filters and fans are not just cleaned and maintained regularly so they operate effectively; they also need to be cleaned properly, ideally by a professional hood services company, to minimize health and safety risks. The risk of an exhaust fan failing during operating hours could be devastating to any commercial kitchen operation. 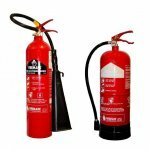 The risk of fire is dramatically increased, but there is also the problem of filling the kitchen and dining area with smoke. The specialists at APS-Hoods recommend creating a scheduled routine for cleaning, maintaining and replacing hood filters in every commercial kitchen. The actual length of time between each deep clean, service and replacement will vary, depending on the condition of the individual range hood. A ventilation hood over a busy restaurant kitchen may have filters that need to be replaced every six to eight months. 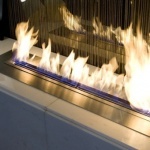 However, that timeframe may shorten if the range hood, duct work and fan are not cleaned and maintained regularly. The majority of commercial kitchen owners simply don’t have the available staff or resources to undertake such a detailed task. In fact, most eateries need their staff to focus on what they do best – cooking great meals and serving satisfied customers. The easiest and most effective way to ensure that any kitchen’s hood, exhaust and ventilation system is operating at its best is to book a complete hood service and duct cleaning. Appointing a professional company to take care of the cleaning allows you to keep your staff focused on their jobs. You also have the peace of mind that the job is done properly and any faulty or damaged parts can be repaired or replaced quickly. To learn more about cleaning the filters in a commercial kitchen, contact Aps-Hoods for a free estimate by calling (800) 750-7313. About Aps-Hoods: Aps-Hoods specializes in services such as complete kitchen cleaning, hood installation, and fire protection services in Denver, Cheyenne, as well as across Colorado, Arizona, California, and Wyoming.